The release of ¡MAYDAY!’s “Death March” music video had everyone in Strangeland buzzing including the Coathanga Strangla, Brotha Lynch Hung. Shortly after the official music video hit, Brotha Lynch Hung jumped on Twitter to share the video with his fans and drop a few good words about his labelmates. Replying to Lynch’s shout out, ¡MAYDAY! gave the love right back and revealed that they are waiting to work with the West Coast veteran. 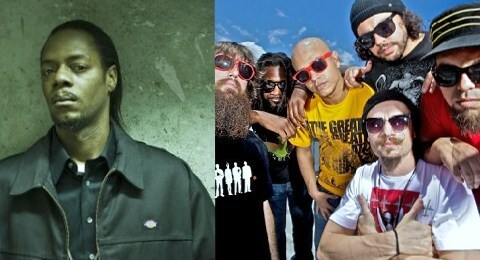 Not wasting anytime, Lynch made it official with a “Let’s go!” With both Lynch and ¡MAYDAY! looking to make 2012 a big year, fans may just get the collaboration sooner than expected. Stay tuned for more from Brotha Lynch Hung! What do you think about ¡MAYDAY! and Brotha Lynch Hung working together? Do you think the collaboration will happen this year?